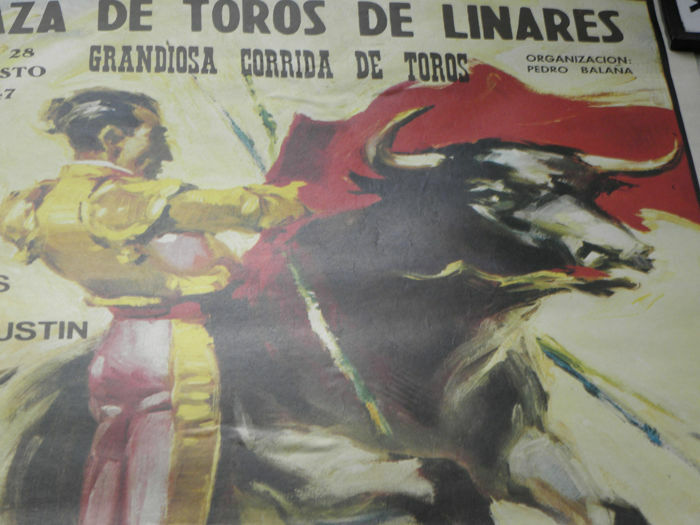 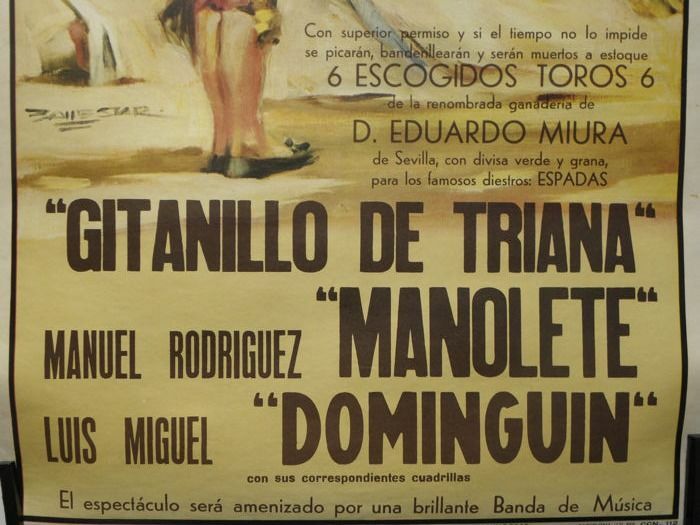 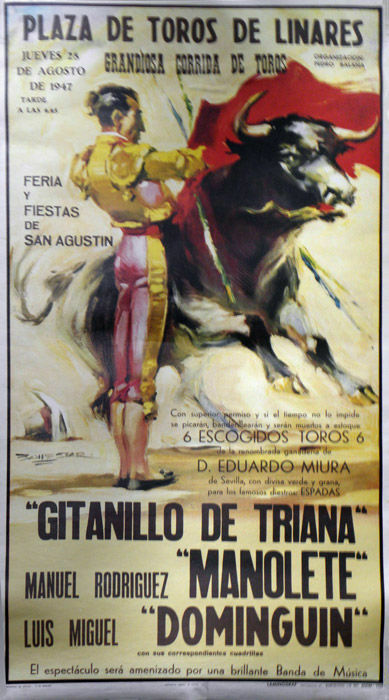 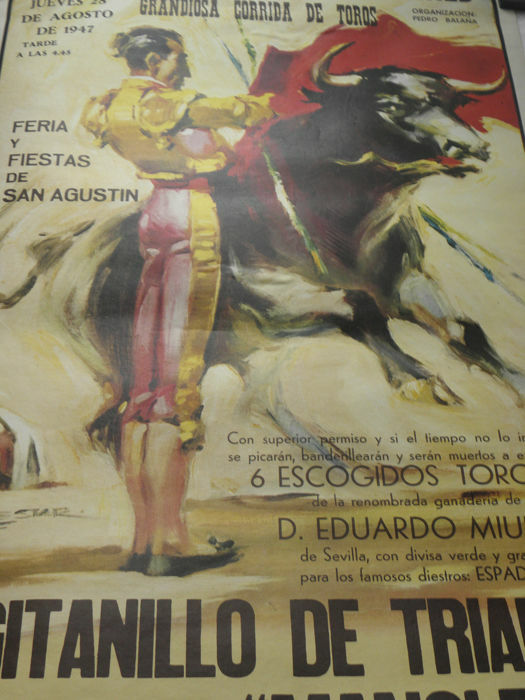 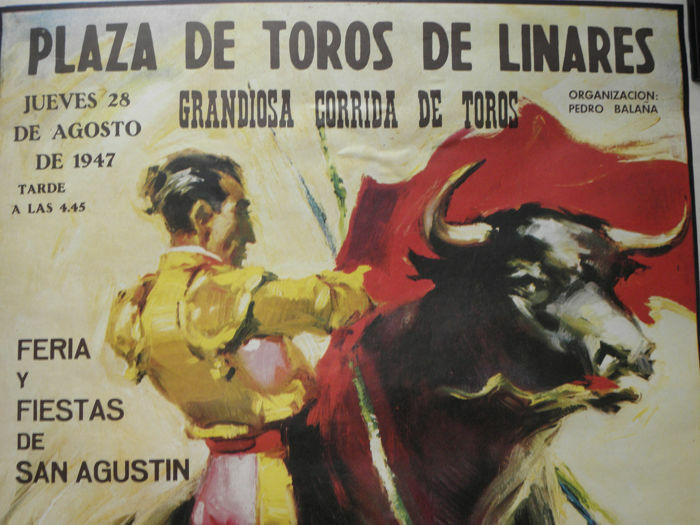 Poster of the bullfight in Linares on August 28th, 1947 during which bullfighter Manolete, fourth caliph of bullfighting, was mortally wounded by bull Islero. 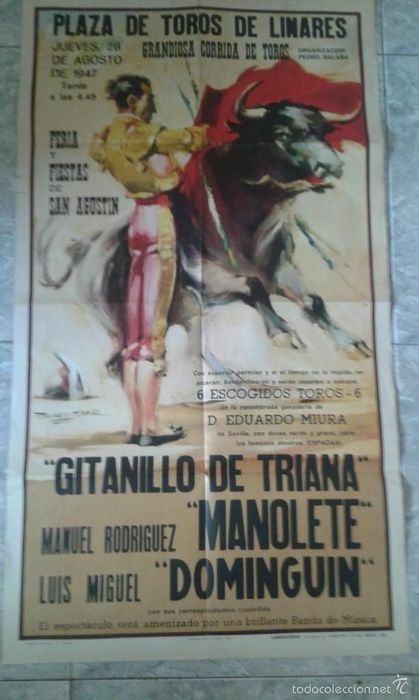 The poster is backed on linen and is in very good condition. 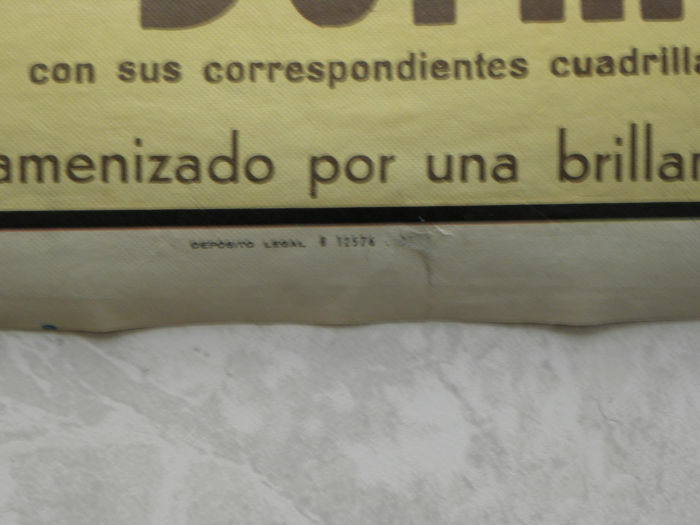 Shipped in a protected tube. 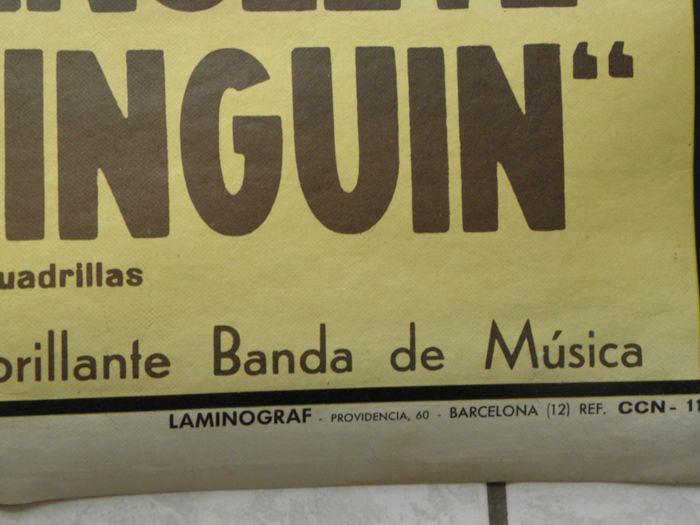 Parfait, bon état, envoi rapide.